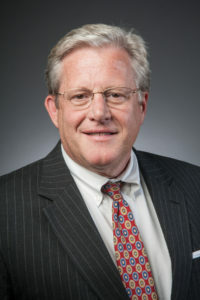 Wayne has more than three decades of broad business experience as a commercial market executive in banks throughout Virginia and the mid-Atlantic. Prior to joining VCC in 2013, he served as Director of Business Information Services at the Virginia Department of Business Assistance, leading the outreach effort to the entrepreneur and existing business community. He also spearheaded an initiative directed by the Governor to accelerate new business formation in the Commonwealth. Wayne began his banking career with Bank of America, serving in numerous commercial lending positions over 20 years, including commercial relationship management, credit policy, and market management responsibilities. Wayne enjoys working on his farm and gardening. He is married with two adult children.